When it comes to Fenty Beauty, one of the products I hear the most chatter about, is the foundation. And yes, pretty much all the chatter is good. 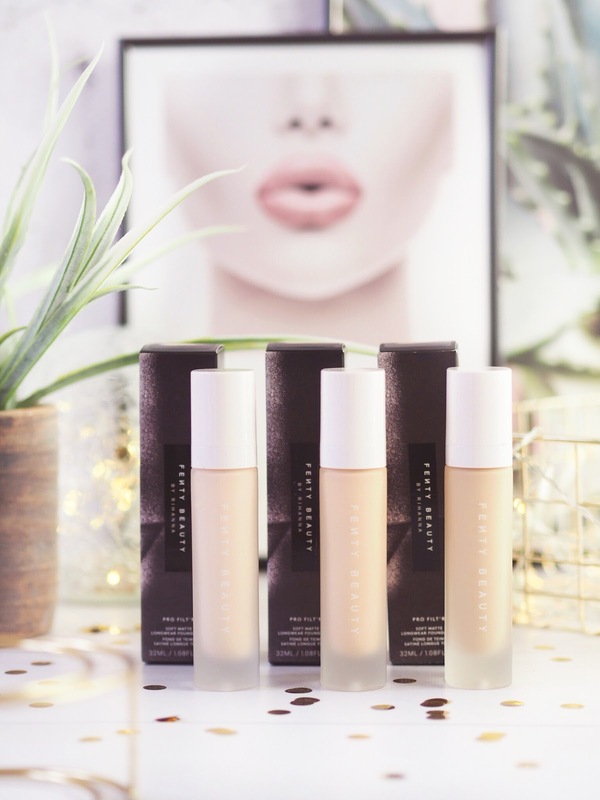 Fenty Foundation launched onto the scene with the widest selection of shades and put to shame many other brands who had been established for decades. 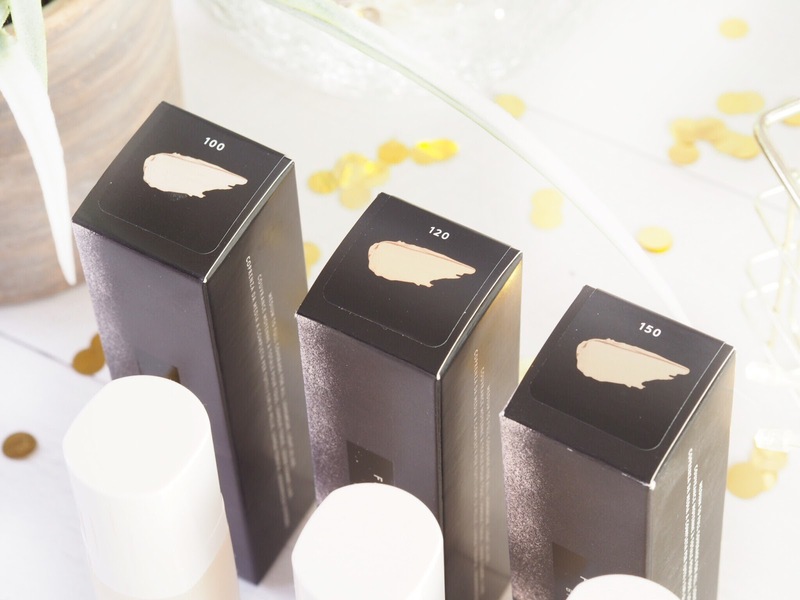 Suddenly this new make-up brand had corrected something that had been a problem for ages – finding foundations to suit every type of skin shade. Because why should your skin colour dictate what make-up you can (and can’t) get or wear? For me, I’m very pale. My skin is ivory white and even with a bit of fake tan, I’m still going to be the very bottom shades on a foundation spectrum. There are so many brands who don’t even cater for my paleness which is really frustrating and I’ve had to buy pure white foundation to mix in with so many others, just to lighten it enough to match me. But that’s not ideal. And let’s not talk about my friends – my WOC friends who have struggled to find the right shades for them too. Hence why the Fenty Foundation caused a huge stir – in a good way. With a huge 40 colours to pick from, there was a lot to be excited about. 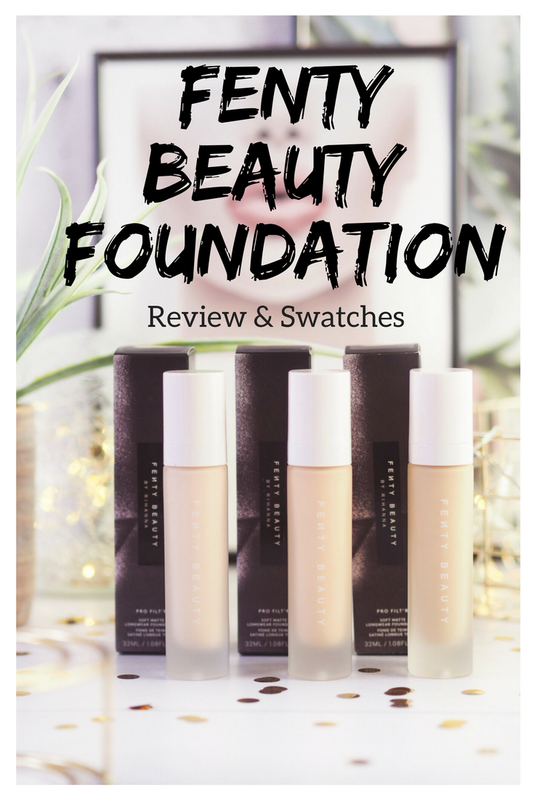 The foundation itself is a matte, buildable to full coverage foundation – which ticks my main foundation boxes. I’m a matte girl at heart for foundation, and full coverage is my style. The fuller the better. 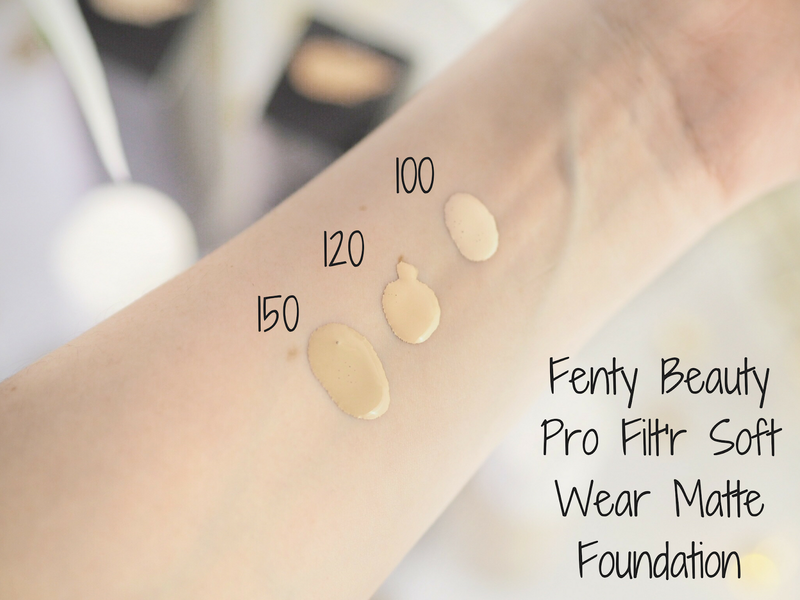 This foundation not only outdoes other brands with their selection of colours, but it outperforms many. I can totally see why all the chatter was so good now. 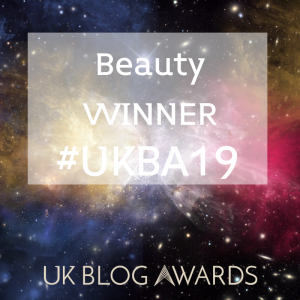 It’s soft and lightweight and feels light on the skin – it doesn’t have that heavy and full feeling that makes your pores feel clogged, and once it’s on, you’re going to notice one thing – that you can’t really notice it! For a full coverage foundation, this is epic. And it’s such a pleasant surprise. One layer/application will give medium-full coverage, two or more is full. And I mean full. I love it. For daily wear I love this because it’s shine free – perfect for me and my annoyingly oily skin. It diffuses the way my pores look too, and keeps the pores/oil problem at bay a lot longer than some of my other foundations. The longer I can go without having to reapply, the better! Busy girls don’t have time to reapply all day long, right? 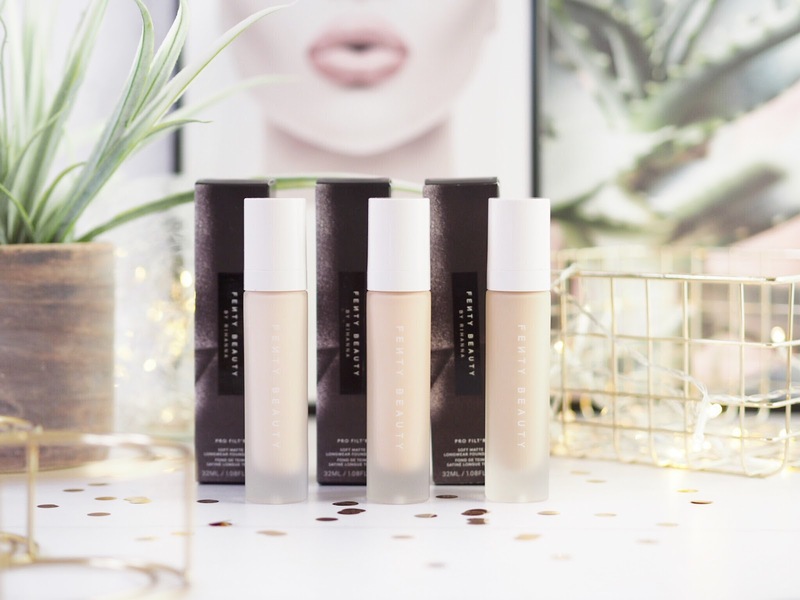 The idea behind this foundation is that it’s lightweight formula means even though it’s full coverage, it’s going to allow your skin top breathe – so you still look like you without cakey makeup. I must admit that it really does give a great coverage without overdoing the make-up look, so it’s great for every day. 120 – another neutral toned shade, this one is a lot warmer for only two tones up. I am going to keep this foundation in my summer make-up collection because when I’ve got a tan it should fit perfectly with my skin tone. More of a yellow undertone on this one too, and a lot warmer than the 100. 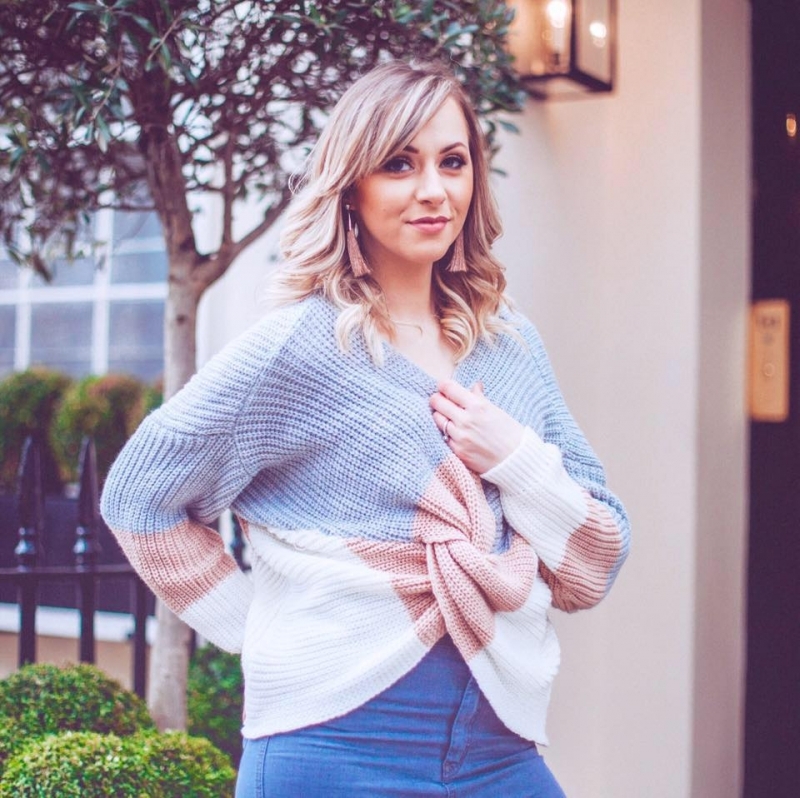 150 – a warm neutral. This one is a darker shade obviously but still has the right balance between warm and cool tones. So I think this shade will be quite versatile for those who aren’t drastically pale like me. I do love this shade and wish this was my skin tone! 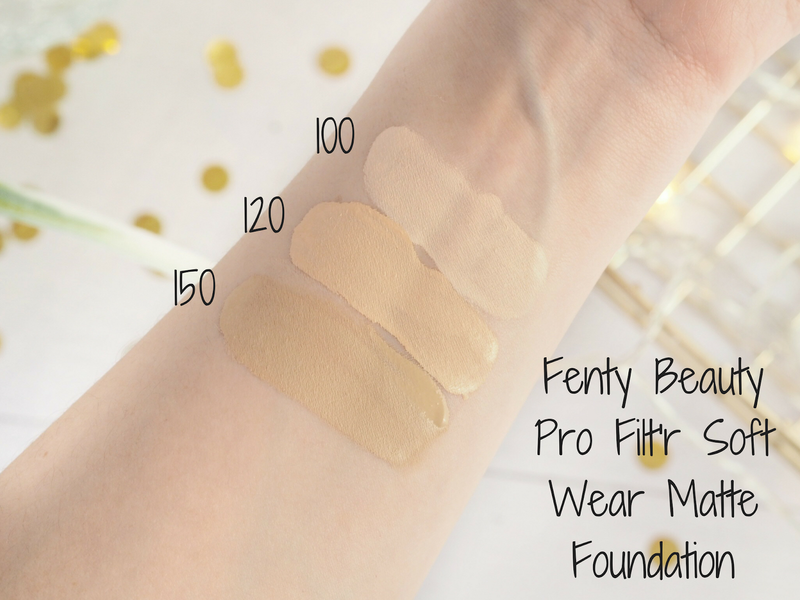 The Fenty Beauty Pro Filt’r Soft Wear Matte Foundation is £26 for 32ml, and is available exclusively from Harvey Nichols. Shop my other favourites from Fenty Beauty!